When the Kids are happy, Everyone’s happy! Who doesn’t like a Snog at the end of a hard day? But don’t worry – before you shut this window in horror, we can reassure you that this type is totally child-friendly! Snog is a frozen yogurt brand that lets you choose the flavours and toppings. From strawberries to chocolate brownies, your Snog is as nutritious and delicious as you make it! Gluten-free toppings are even available to make sure all children will love creating their unique frozen yogurt sundae. 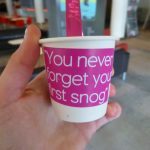 There are Snog stores across London, from Westfield London to Covent Garden. 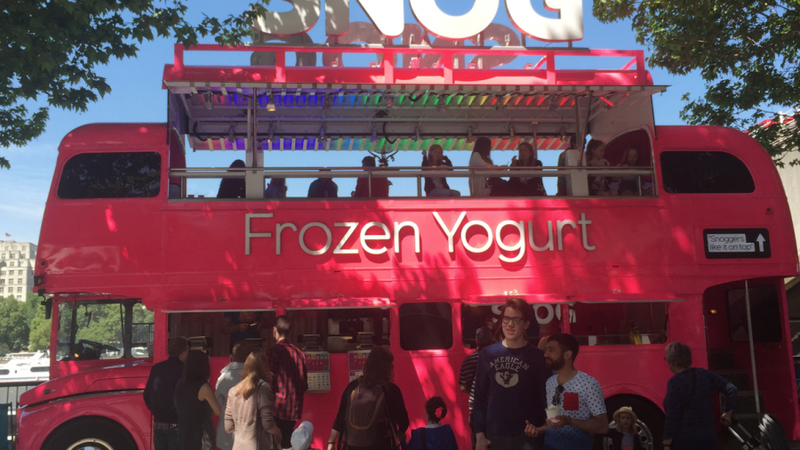 As part of the Southbank Centre’s Festival of Love there is also a pop-up Snog bus on the Southbank this summer! 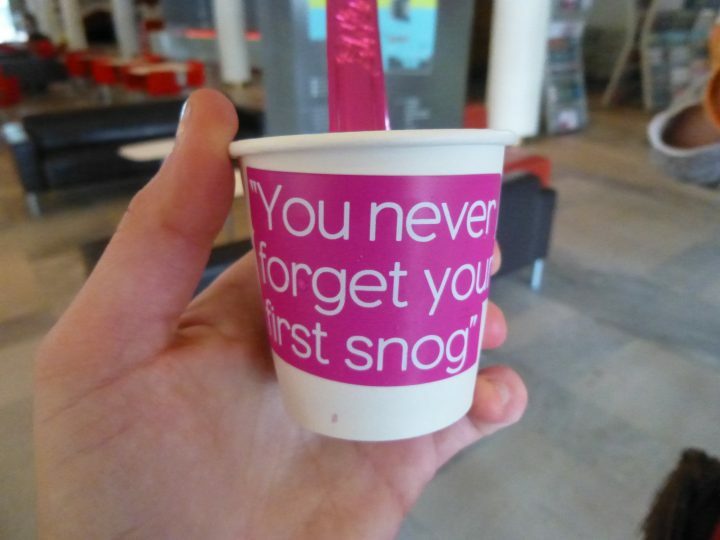 Wherever you are in London, be sure not to miss out on your first Snog! KidRated’s Top Tip: Make sure you eat it before it melts away! Connect with the KidRated community! KidRated is a safe place for children to express their points of view. Each child’s review is consented to by his or her parent or guardian. To protect their anonymity, children give only their first names (no surnames), don’t say where they live, or indicate which school they attend. All comments, videos & photos are individually checked and moderated for inappropriate or unsafe content, before being published on the site. KidRated.com is a ratings site, not a kids’ social network. No business use of our trade marks is permitted without permission.